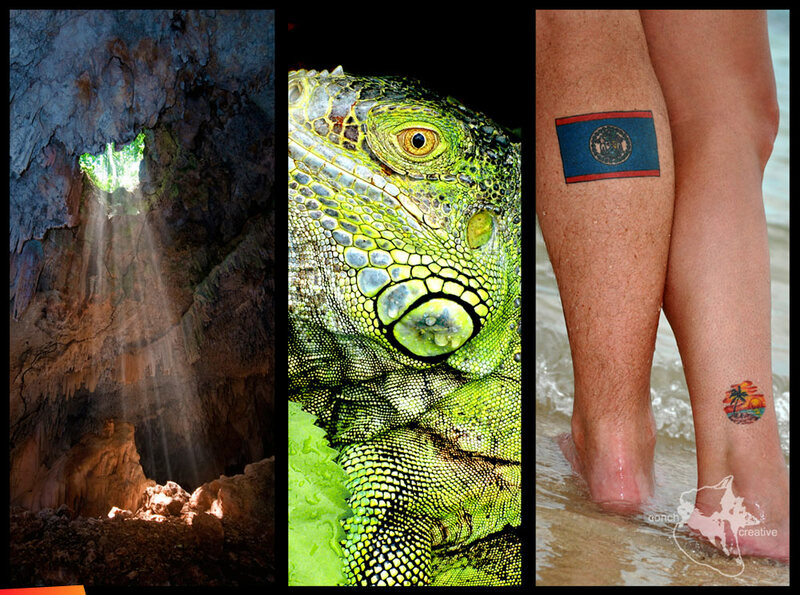 Photos by Conch Creative representing Belize in Europe at the Belize Hotel Association stand! For those of you wondering which Conch Creative photos are representing Belize in Europe and are having trouble working out exactly what they are in the photo of the Belize Hotel Association stand below, here they are! The one on the left is Actun Chapat Cave. The one in middle is 'Claire' the iguana. The one on the right are the legs of two very lovely people. They know who they are! Notice the tattoos representing their love of Belize. — with Kenneth Dart, Claire the Iguana and Susan Rousseau-Speedy. Conch Creative Oh wow! Conch Creative on European tour.